Losing weight is not easy and takes a lot of dedication and hard work. Some people look for some kind of weight loss secrets to help them shed that weight quickly but in reality, there is no magic bullet for losing weight – it’s very much about changing your lifestyle, eating balanced, healthy diet and staying active. I am not an expert in weight loss so I teamed up with a certified nutritionist, April Laugh, who happily answered all my questions about losing weight. 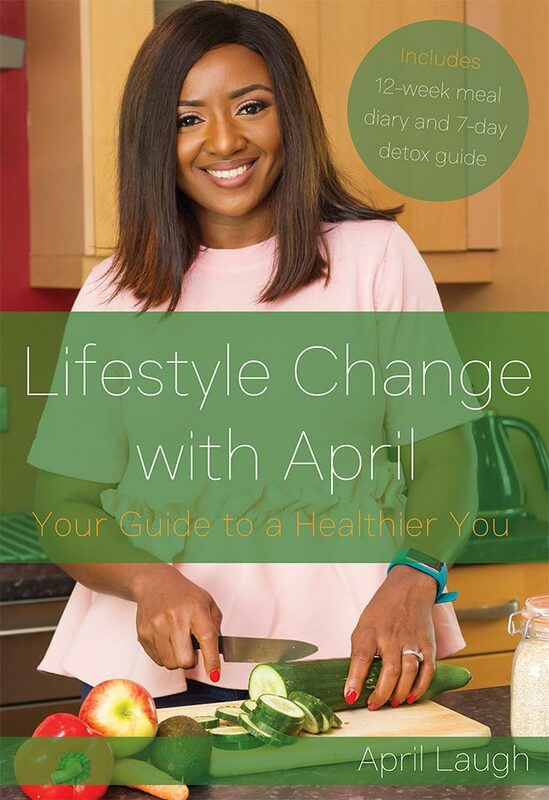 April has recently launched a book called ‘Lifestyle Change with April’ which you can check out here. 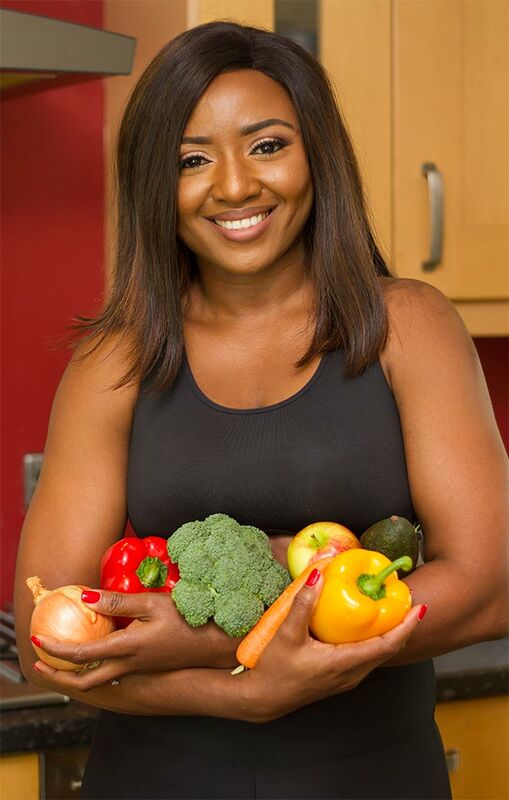 In her book she guides readers on their weight loss journey, giving them lots of tips to help them lose weight, for example how to how to stop binge eating, curb cravings and eat more for a sustained weight loss. April also includes a free meal diary to help readers catch every calorie and make every meal count. 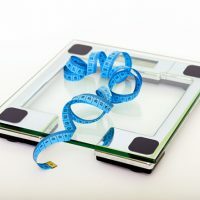 In your opinion, what’s the best way to lose weight? The best way to lose weight is by eating clean and working out. You’ll be successful at this if you’re able to set realistic goals, enjoy the foods you’re eating and finding workouts that you enjoy. It’s all about falling in love with your lifestyle change and sticking through it till you’re able to achieve these set goals. Are there any particular foods that you recommend which would speed up the weight loss? I don’t think anyone should be looking at ‘speeding up’ weight loss because you didn’t add all the weight you’re trying to lose in 2 weeks! However, some food items like quinoa, bulgur wheat, apples, watermelon are low in calories with superb nutrients and great for weight loss. Some people struggle to get themselves motivated to lose weight. What do you suggest? How can they get motivated? You need to understand your whys! Why do you want to lose weight? 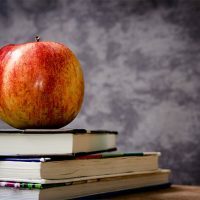 Why do you want to change your lifestyle? Motivation will get you started but discipline will get you going! A lot of people moan about motivation when in reality, what they need is DISCIPLINE! You might see someone’s transformation pictures or read an emotional story but if you’re not ready to commit and be disciplined, seeing progress will only be a fantasy. If you can make it to the bathroom every morning, you can commit to your health. It’s all about knowing your whys, having a mindset change and creating healthy sustainable habits. How can somebody lose belly fat? A big issue for many! Like I always tell my clients on the LifestyleChangeWithApril, you should not worry about belly fat when you have over 20 pounds to lose. You should focus on losing your overall body weight and your tummy would shrink! No crunches or sit-ups would work when you have excess abdominal fat. What is the best exercise when trying to lose weight? Is there a particular type of exercise that works better? The best exercise is the one you want to do daily! You don’t have to force yourself to run if you love dancing! As long as you move your body and sweat BUT you also don’t want to spend 10 hours working out so activities that involve intervals and HIITS are fantastic! Do you recommend any supplements to those trying to lose weight? What do you think of protein shakes? Can these help with weight loss? I believe in eating food and getting your nutrients naturally. This is more sustainable. What are your top tips for those who are trying to lose weight after pregnancy? 1. Focus on being a fantastic mom. 2. Put your baby on a routine to create more time for you to get things done. 4. Accept that things might not necessarily be the way they used to be and it’s okay. You carried your baby for 9 months. 5. Eat better and stay hydrated to up your milk supply. 6. Once you’re all clear to resume working – stay easy with brisk walks, pelvic floor exercises before HIITS. You got this, mama! April Laugh is a fitness entrepreneur, certified nutritionist, meal plan genius and fitness enthusiast. 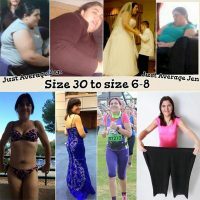 After helping her husband to lose over 40kg, she has been inspiring people to adopt lifestyle changes with her #LifestyleChangeWithApril 12 Weeks Challenge. You can buy her book ‘Lifestyle Change With April’ here or on Amazon.